If there's one thing we can learn from watching the lifestyles of athletes, it's that what we put into our bodies has a significant impact on our muscles. You can quickly cancel out the benefits of exercise simply by constantly eating the wrong foods. In particular, eating a diet low in nutrients and fiber and high in sugar is detrimental if you're trying to build strong muscles. However, new research has found that you may be able to cancel out some of the negative effects of all that sugar if you pair it with the right thing. According to research recently published in Frontiers in Physiology, resveratrol may be able to counter some of the detrimental effects of a high-sugar diet on your muscles. Of course, if you recognize resveratrol as a compound found in red wine, you can see the field day the headlines will have with this study: have your cake and a glass of wine too! While unfortunately the truth isn't quite that simple (or delicious), this study does have some interesting findings about resveratrol. For this project, a group of researchers at Georgetown University evaluated the effects of diet and resveratrol supplementation on a group of rhesus monkeys. They wanted to see how various combinations of diet and resveratrol would affect their leg muscles. They started with the soleus muscle, a large muscle that stretches from the heel to the knee and is used for standing and walking. It's typically considered a "slow" muscle, but when the monkeys ate a low nutrient, high-sugar diet, it began acting more like a "fast" muscle, making it less effective. However, the researchers found that giving the monkeys a resveratrol supplement helped reverse this change. Then they checked the plantaris muscle, a shorter muscle found along the back of the calf. The diet didn't seem to have any effects on the muscle. However, a resveratrol supplement still proved beneficial, helping the muscle shift from "fast" to "slow" more effectively. 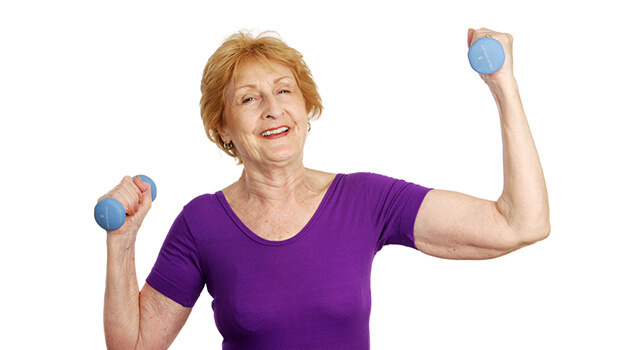 The researchers speculate that resveratrol could be beneficial in humans as well, particularly in elderly individuals who rely on the "slow" skeletal muscles for balance, stability, and mobility. However, they note that it's much better to include resveratrol as part of a healthy diet than use it as an excuse to eat poorly. I agree. And while I think you can certainly indulge in a glass of red wine when you like, I don't think that's the best way to get adequate amounts of resveratrol. Most studies on resveratrol use levels that would require drinking bottles and bottles of wine for you to match. That's definitely going to have a negative effect on your muscles! Instead, give Advanced Polyphenol Formula a try. Resveratrol is just one of several polyphenols in this great product that will support your healthy lifestyle — one that, yes, can include an occasional slice of cake.